Some people base their holidays around their dogs, so they set out with pet friendly holiday cottages in mind. ‘We’re visiting the island because we think Jake is going to like it’ was the start of a recent telephone conversation. It just took me a couple of minutes to figure out who Jake was. 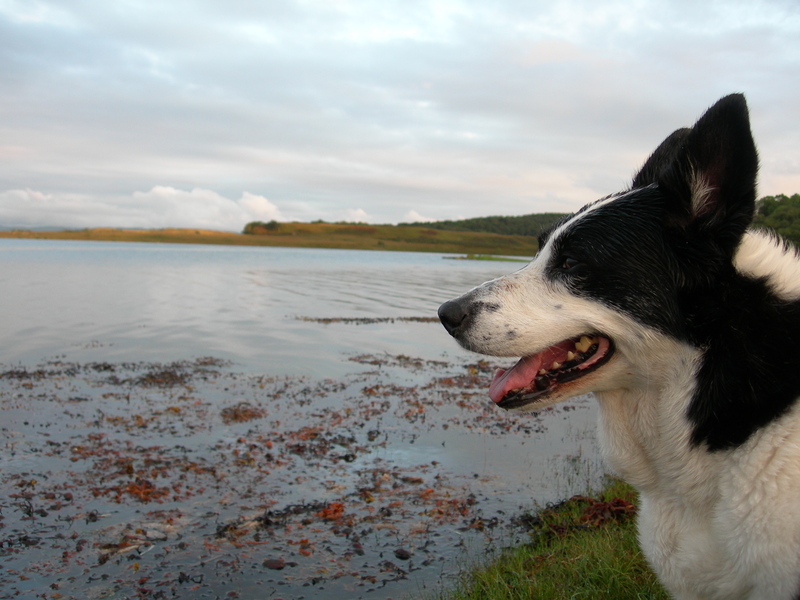 As it happens, we are on the dog’s side at Isle of Mull Cottages. We encourage owners to make their holiday cottages available to those bringing their pooches with them. After all, it’s fair to say that there might be a few visitors to this part of Scotland who are outdoor enthusiasts, in one form or another, and are therefore quite likely to have a dog they would like to bring with them. Yes, there is a lovely garden and yes, there is a fantastic beach within walking distance. Happy days. Again, a great garden at this little cottage which stands proudly on the hillside above the river Aros, looking out over the Sound of Mull. There is a great little circular route around Aros castle that will delight your dog’s senses. 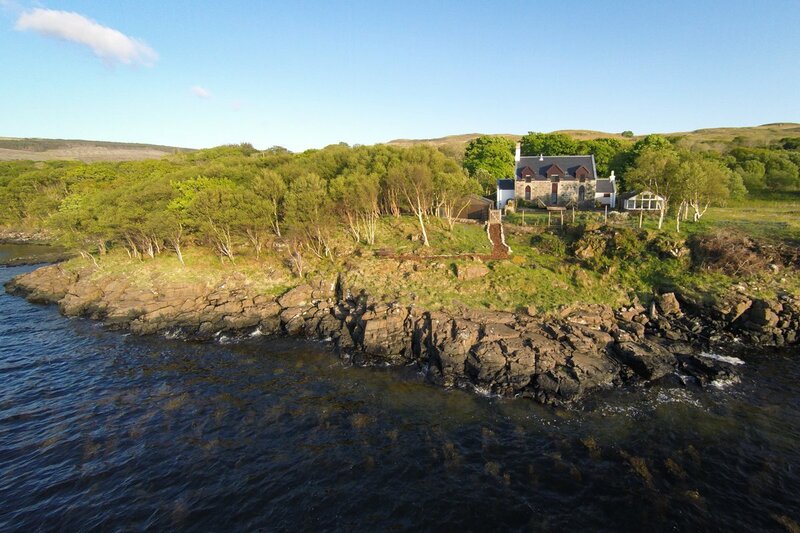 Truly beautiful scenery, a freshwater loch on the doorstep (plenty of sticks too) and a beach just down the road, Craig Ben Cottage is a fabulous, dog friendly option. To be honest, you can’t go too far wrong when choosing pet friendly holiday cottages from our host of dog friendly options. Your dog is likely to be quite pleased with your holiday choice. They will know they are going somewhere special as soon as they board the CalMac boat to get to Mull, and I’m afraid they are likely to be disappointed to leave too. You might just have to come again next year! What is top of your dog’s wish list for pet friendly holiday cottages? The Isle of Mull is part of the Inner Hebrides; an archipelago consisting of 77 islands, including some of the more well known inhabited islands such as Islay, Jura and Skye. So what sets the Isle of Mull apart in this variety of beautiful Hebridean offerings? Less populated than Islay or Skye, with the vast majority of roads being single track (and okay, a little bumpy), Mull retains a wonderfully laid-back, peaceful atmosphere. There’s just enough in the way of infrastructure to give you a list of attractions to keep you busy, from Duart Castle to a wildlife tour. The Isle of Mull’s capital has to be one of the most picturesque harbour towns in the United Kingdom. On a calm day, with a high tide, you can wander the gift shops, or enjoy a cup of coffee at one of the well placed cafes on the seafront, watching the boats come and go from the sheltered bay. Wooded hillsides at either end of the harbour, and the steep streets behind the main shopping area, add to the character of this lovely little town. 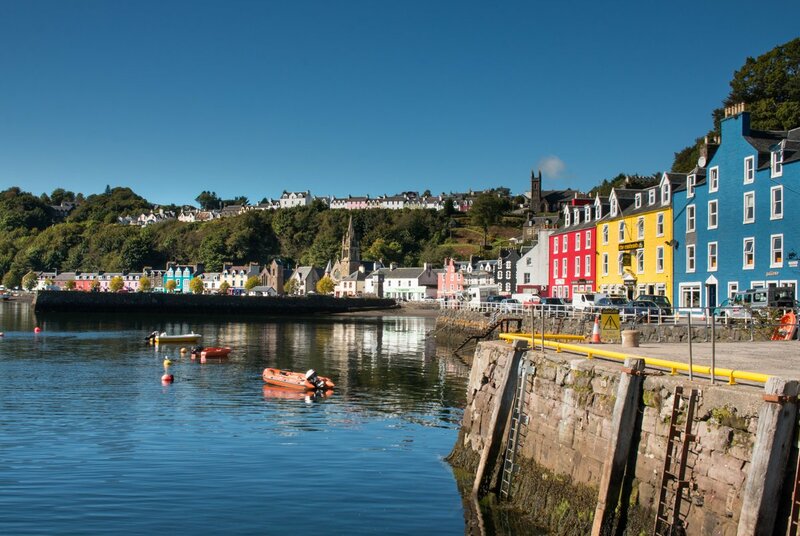 Tobermory bustles in the summer months and becomes a sleepy haven in the quieter winter. The south of Mull has a cluster of impressive mountains. Ben More, being the highest on the island and one of Scotland’s Munros, is the most popular choice for a mountain walk with visitors, but there are many more hidden beauties. Cyclists will be in their absolute element with Mull boasting some excellent cycling routes past stunning sea lochs and captivating glens, as well as some shorter forestry tracks for families wanting to get in on the action. And finally, the coastline of Mull is just staggeringly varied and beautiful. There are white sandy bays that look like they are out of a Mediterranean travel brochure as well as the drama of steep coastal cliffs around Gribun or Carsaig. Most visitors to Mull are keen to see the sea eagles during their stay. Both golden eagles and white tailed eagles reside on Mull. Red deer are an impressive sight too and the charming Highland cows are often photographed extensively. Along the coastline there are the sea otters to spot, and if you are really lucky, dolphins, porpoises and even basking sharks. The rich marine environment that laps at the 300 miles of coast, coupled with the variety of habitats on land, mean that the birdlife here is prolific. The flora and fauna are worth finding out about too, so make sure you pack your camera and binoculars for a trip to the Isle of Mull. 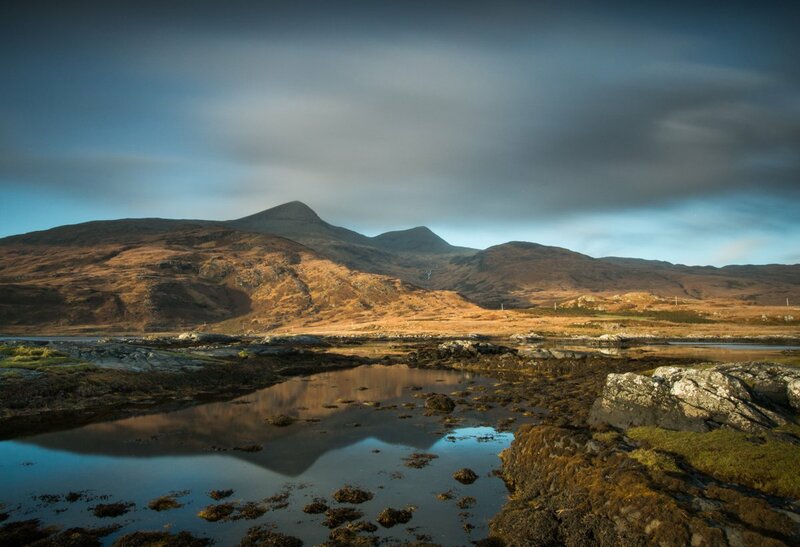 What really sets the Isle of Mull apart is hard to put into words. You’ll only find that out for yourself by coming and discovering its beauty for yourself. 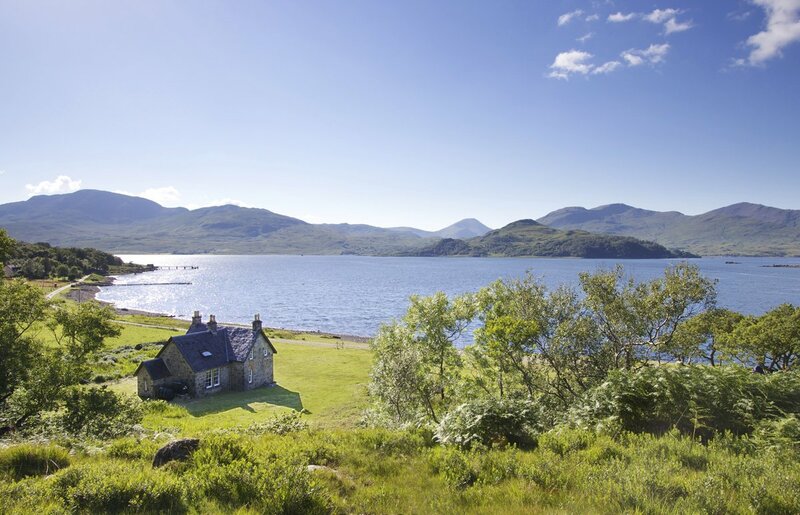 Make one of our hand-picked holiday cottages your base for the perfect island holiday. Top 5 Locations for Columnar Basalt! The Isle of Mull and its neighbouring islands are rightly famous for their geology. These islands have a richness and complexity in their geological make-up that is quite remarkable, and features the grand phenomenon of columnar basalt. When the Survey officers were carrying out the geological survey of Mull and surrounding islands, in the early part of the 20th century, they quickly realised how complex an area it was that they were studying. The rocks of Mull have played an enormous part in the advancement of the science of Igneous Petrology. Earth Scientists from all over the world come to study the amazing geology of this place. But you do not need to be a scientist to appreciate one of the truly remarkable geological wonders – the rock known as Columnar Basalt, which is on display in several places in these islands. 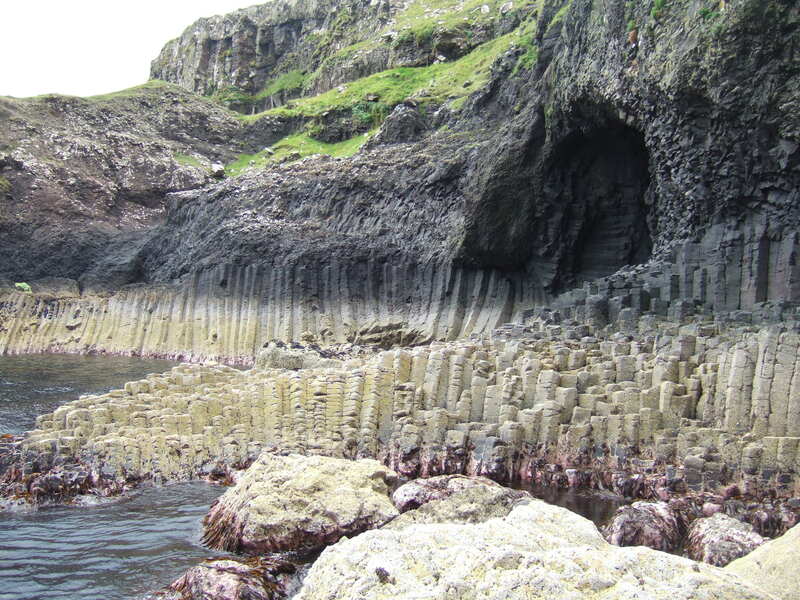 Most people will be familiar with pictures of Fingals Cave on Staffa or the Giant’s Causeway in Northern Ireland. These are both excellent examples of this strange rock formation which almost does not look ‘natural’. The mainly six-sided columns have a symmetry which is fascinating. 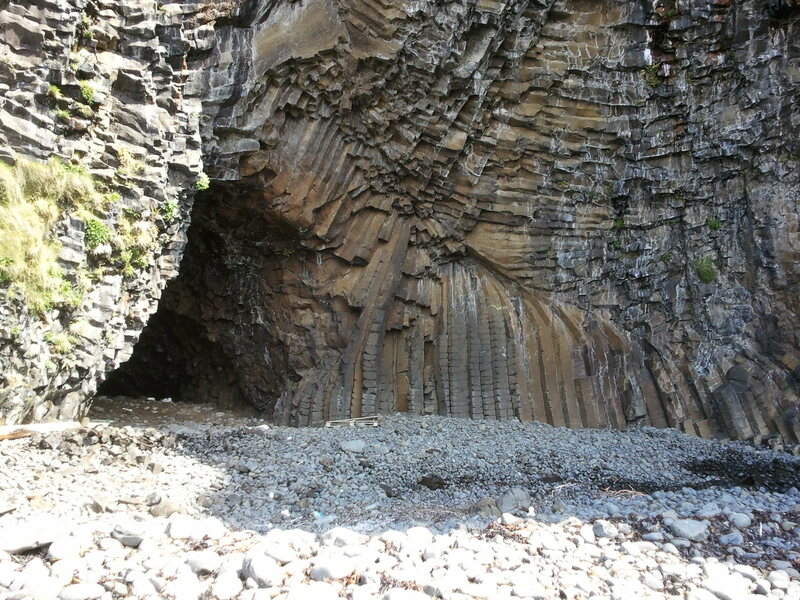 So what is columnar basalt and where can it be seen on Mull? Basalt is a type of lava that is very common throughout the world. Look at pictures of Hawaii and you will see lava pouring into the sea and forming great clouds of steam. That is basalt. The volcanoes in Iceland that caused such disruption to air traffic a few years ago were mainly basaltic. In fact Iceland today is very like how Mull would have looked 60 million years ago! Not all basalt lava forms columns however – much of it is massive and uniform, lacking the pillar-like structure. There is a lot of variation in the basalt lava seen on Mull and the other islands. Some of it is very crumbly, a lot of it contains white crystals of a group of minerals called zeolites, and sometimes it can appear reddish in colour. The columnar form, which is easily the most visually spectacular, can be seen in lots of locations on Mull. Here are five areas for you to see some impressive examples of it during a visit. 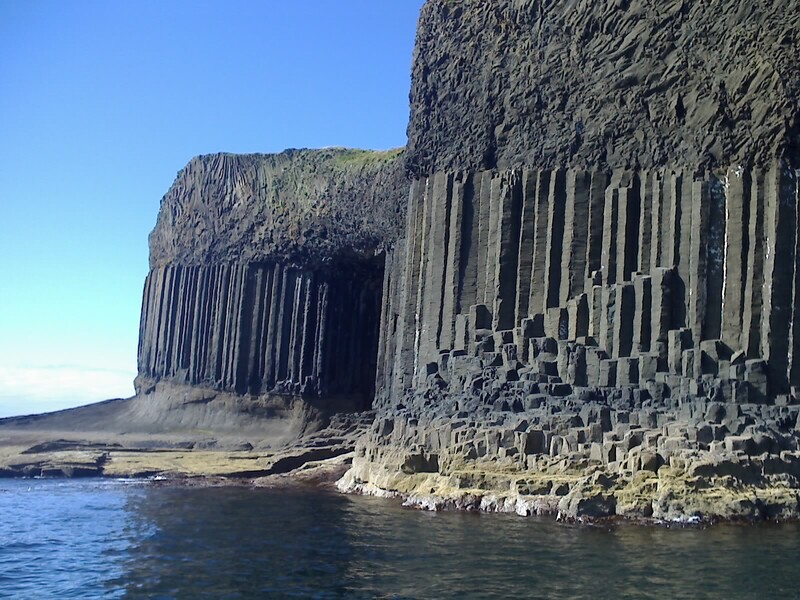 The Island of Staffa is the prime location for seeing basalt columns. No other location really matches it for grandeur. Whether seen from the boat or from the shore, it looks spectacular. The name Staffa comes from Norse and means “Pillar Island”. Very well named! Staffa is easy to access on foot but requires a boat trip to get to it. Find out more about how you can visit Staffa here. 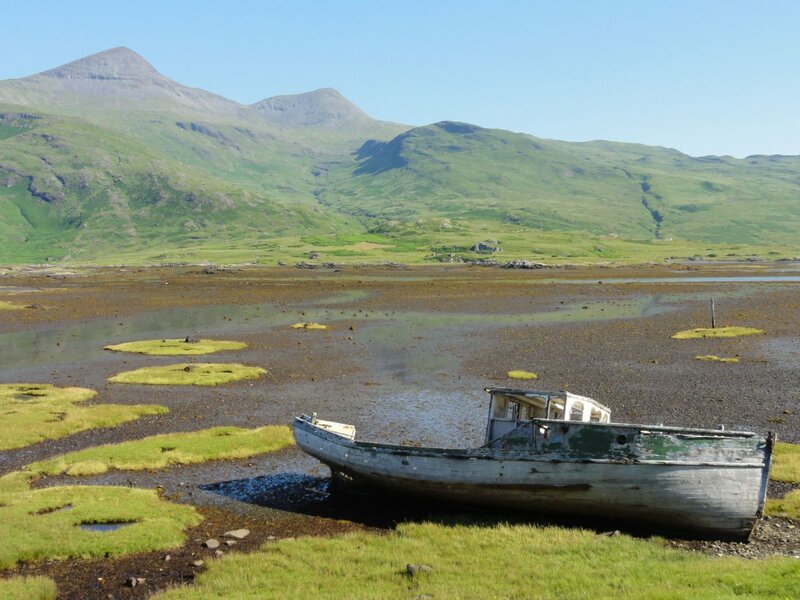 Ulva is an island just to the west of Mull and is accessible from Ulva Ferry by a small, regular boat service. The columns are on the south coast of the island, approximately 45 minutes from the slipway. The walking is easy and the columns are well sign-posted. The famous Fossil Tree lies at the very western extremity of the Ardmeanach peninsula. It involves a long walk over rough terrain and the descent of a ladder to reach the shore. 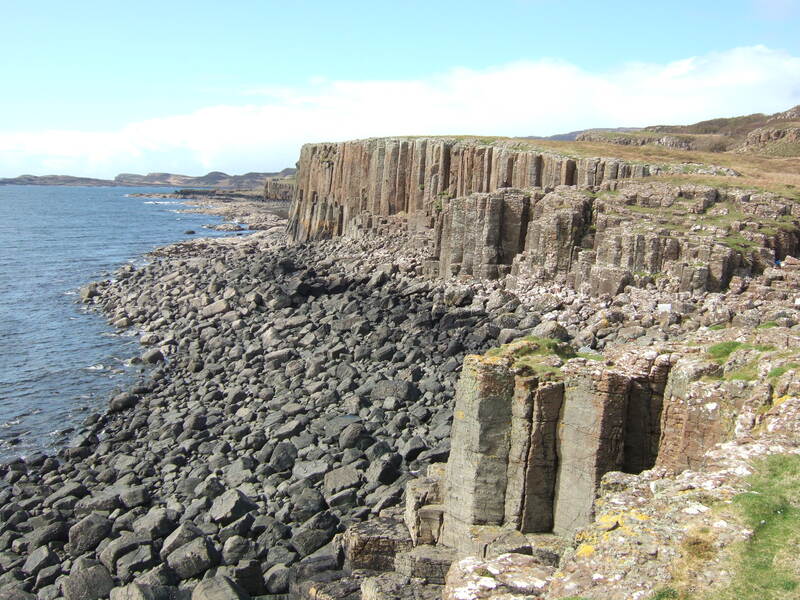 The scenery is spectacular and basalt columns can be seen near the tree and on the shore leading up to it. This is wild country where the rewards for the effort are great scenery and spectacular coastal views. Beyond the headland of Rubha na h-Uamha (Point of the Cave, and well-named so), there is more columnar basalt to be seen. Great care is needed as it can only be easily accessed when the tide is out. This is another difficult to reach location, with a lot of rough walking and a need for a steady gait and a good head for heights. The Arches are at Malcolm’s Point, west of Carsaig itself. One of them forms a sea-stack. The other is a cave. Both are spectacular. 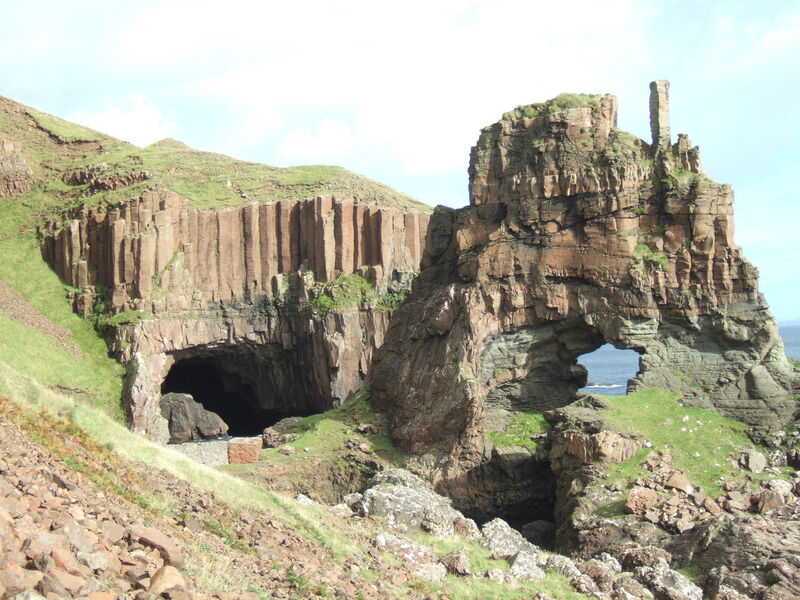 Ardtun, near Bunessan, is famous for another geological find – fossil leaves, dating back 60 million years. The leaves are found in between lava flows, some of which are beautifully columnar. This is dramatic coastal scenery with ravines, a sea stack, caves and other delights. Many of the columns are curved or even horizontal. The approach is over extremely boggy ground, straightforward to walk but very wet underfoot. Care is required at the gorge of Slochd nan Uruisg (the defile of the goblin) where the leaf beds and the basalt columns are best seen. There is lots of further reading available on the subject, should you wish to find out more about Mull’s geology. Mull in the Making by Ros Jones offers a great introduction. If you’re intrigued by Mull’s magnificent landscapes, don’t miss our guide to visiting MacKinnon’s Cave. If you’ve been to see the columnar basalt on Mull, what did you think? Removing yourself from the hustle and bustle of the mainland, and boarding a boat to get to your holiday destination, makes staying on a Scottish island that little bit more of an adventure. The excitement of disembarking and setting off on single track roads that wind their way along the coastline adds to the excitement and enchanting nature of this part of the world and makes it an ideal location, we think, for a romantic break. 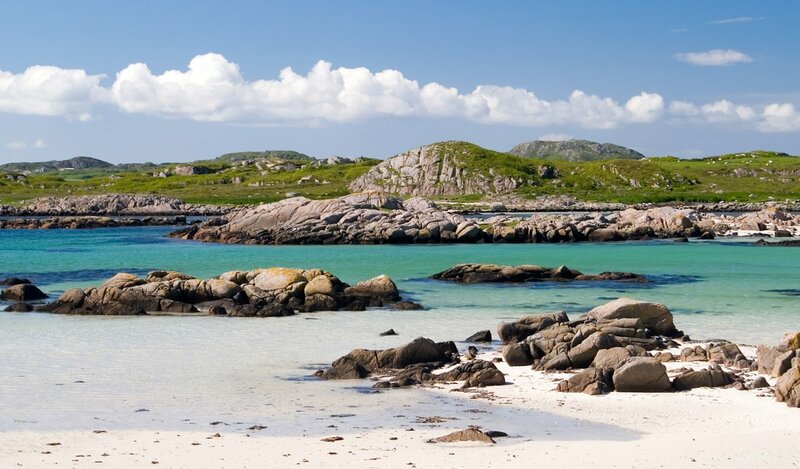 The islands of the Hebrides all have something a little bit different to offer. Mull has a small population, little in the way of infrastructure, much in the way of wildlife and retains that olde world charm that somehow lends itself to a good place to retreat to and spend a week cosied up, soaking up the environment and re-charging your batteries. 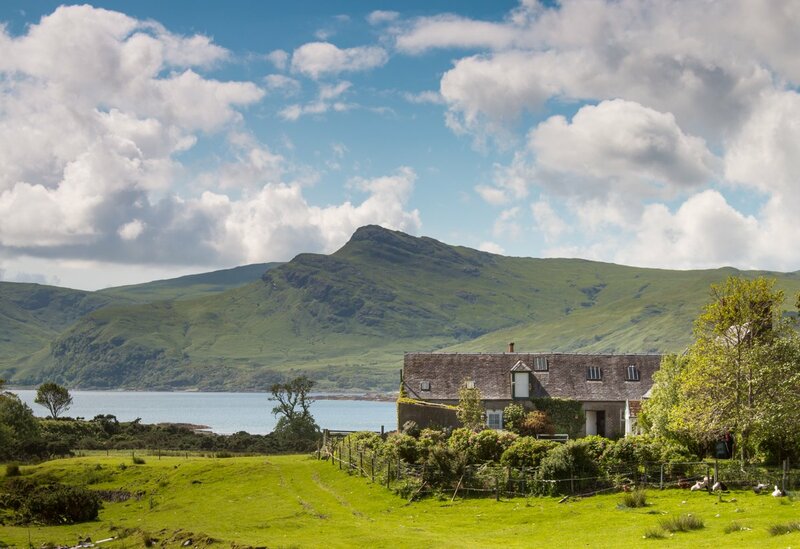 If you want somewhere with peace and quiet on tap, the Isle of Mull should be top of your list for a romantic break for two. The landscape is varied and the geology is so unique that some of the structures here are found nowhere else in the world. There are stepped tablelands in the north, a rugged range of mountains in the central and southern parts of the island, and the outcrops of pink granite give the south western peninsula a flavour of its own. 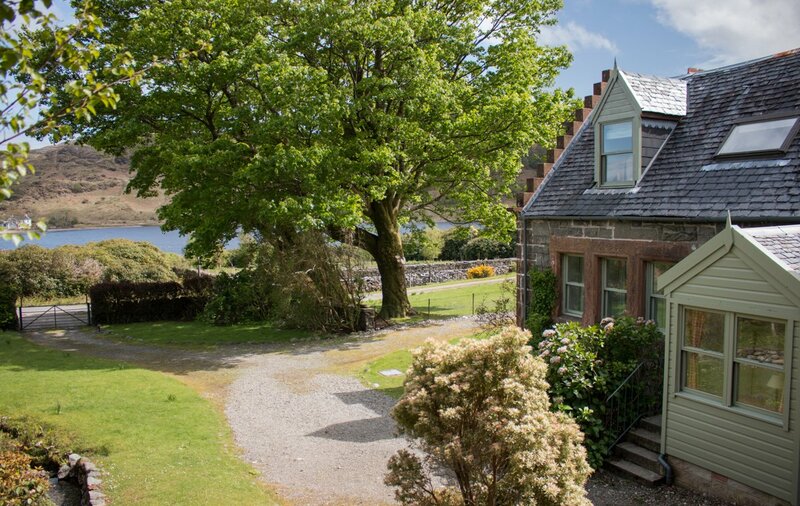 At Isle of Mull Cottages, we give you a select range of properties, many of which have special features that are ideal for those looking for that elusive, luxurious ‘somewhere special to stay’. Want a balcony leading off your bedroom with views of a beautiful loch? Yes, we can tick that box. Looking for a picture postcard cottage for two, a stone’s throw from the sea? Check. Or how about an artist’s retreat with sauna and steam room in the master suite? Again, we have it covered. So if you are looking to add romance to your holiday tick list, pick one of our beautiful holiday cottages, mix it in with the white sandy beaches, fantastic local produce to sample and amazing sunsets and wildlife, and you can’t go wrong with our recipe for a romantic break. 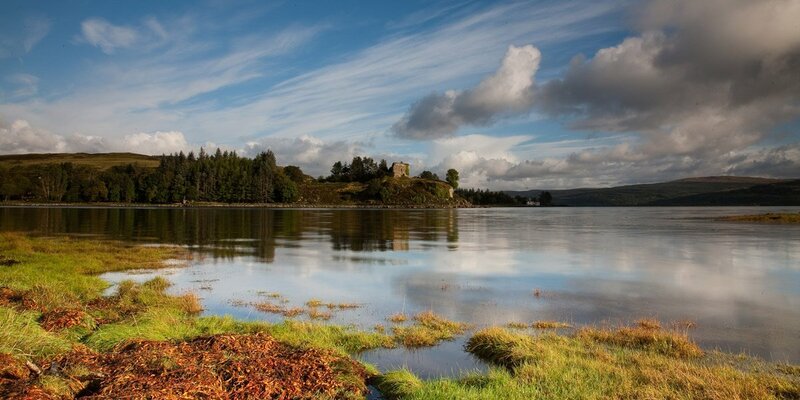 Where on Mull would you choose for the ultimate romantic break? If you want to smell the sea air when you step out the door and be able to take less than two dozen steps before you are submersed in sea water, Grasspoint Cottage is what you are looking for. On top of that, the furnishings give it a lovely, quirky, rustic vibe. 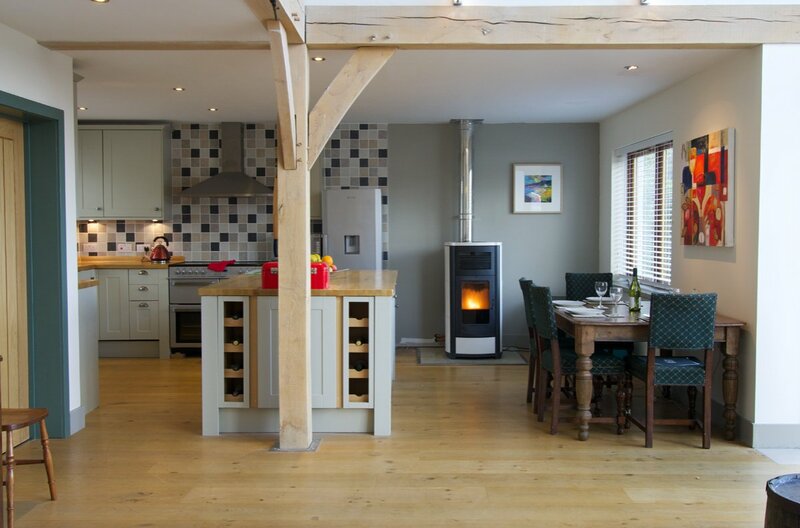 The cosy accommodation with wood burning stove and bed in the the living room add to the ambience in the evenings. It might not be five-star accommodation, but it is a five-star experience. 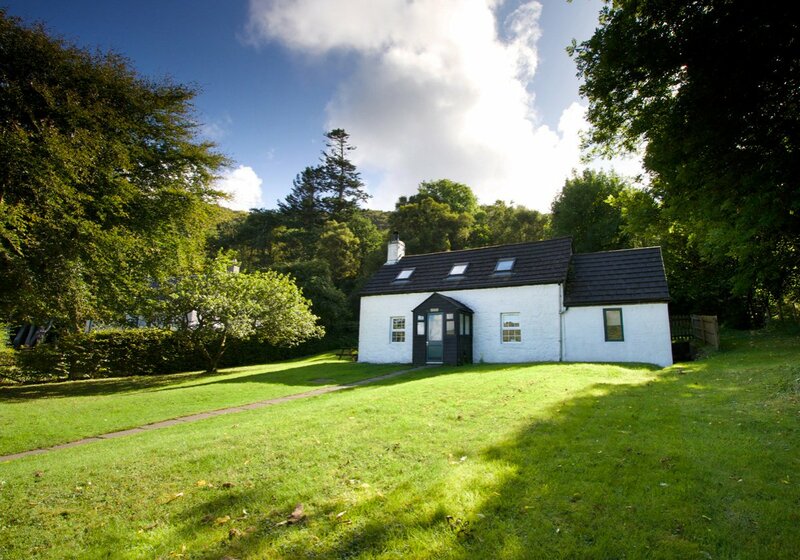 We’d highly recommend booking Grasspoint Cottage for those wanting to get cosy by the sea. How does a historical building, converted into a luxurious pad, with sea views and a path to the water’s edge sound? Quite good? The Old Church is even better than you imagine! The interior is fabulous, the views are amazing and you can sit on the garden bench and watch for seals, otters or even dolphins. It’s really is that good. Again, we’re not messing around here. The sea is literally a stone’s throw away from the Old School House, making it an ideal options for cottages by the sea. Surrounded by beautiful countryside, there is a gravel track that leads around the coastline through mature woodland, past pebble and sandy beaches. It’s idyllic (and that word gets used a lot, but it really is). The Old School House has an olde world charm and the sort of stunning, mountainous scenery surrounding it that makes you want to come back again and again. You’d have thought by now we would be getting onto lesser options for cottages by the sea, but we haven’t. The Bothy is ultra special. If you want to feel like you have reached the end of the earth and to have your mind blown by a huge, sweeping expanse of beach in front of your cosy cottage for two, then The Bothy is for you. 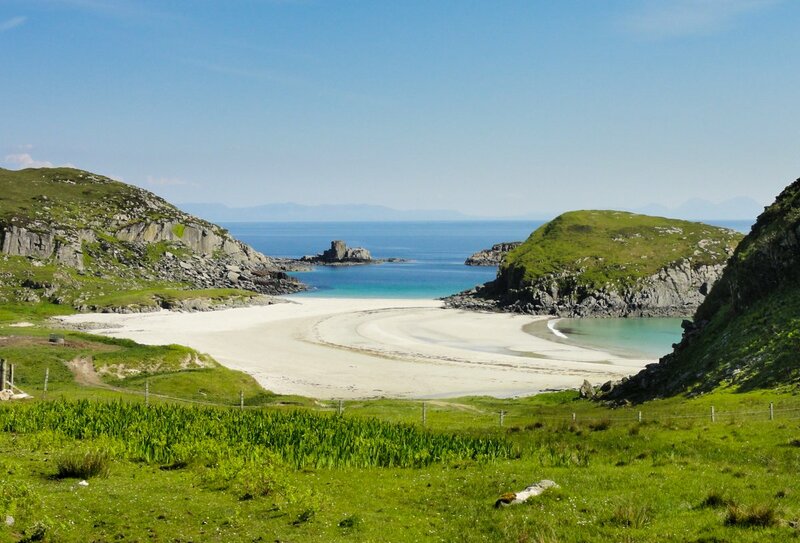 This little area of Mull is divine with a capital ‘D’; you will not want to leave. You will also love more of our remote holiday cottages – take a look for some wild inspiration for your next stay. If you want to stay in Sands Cottage, heed this word of warning: you have to book well in advance. Take one of the best known beaches on the island (because it is truly beautiful), add a lovely stone built cottage with a stylish interior and buckets of character, and you get a hot cake of a property that everyone wants to stay in. Sandy toes in the ocean can be achieved just across the road from Sands Cottage. 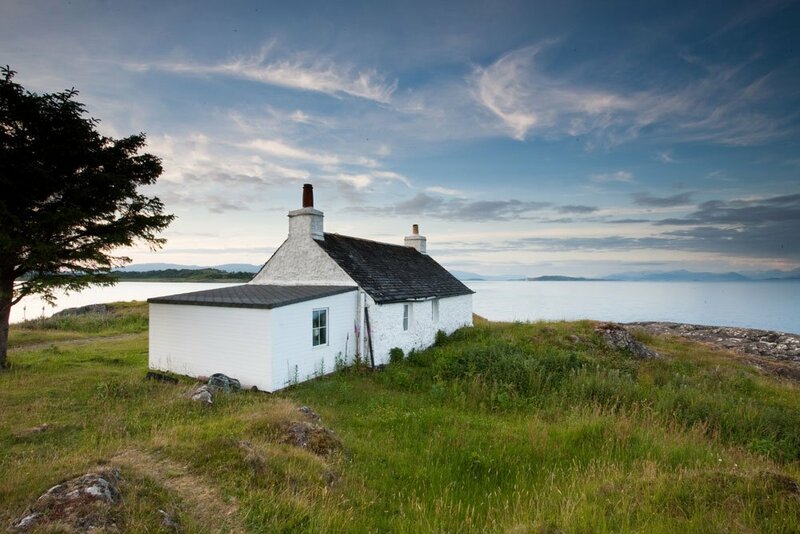 For more tips for booking the perfect holiday cottage on Mull, use this guide. 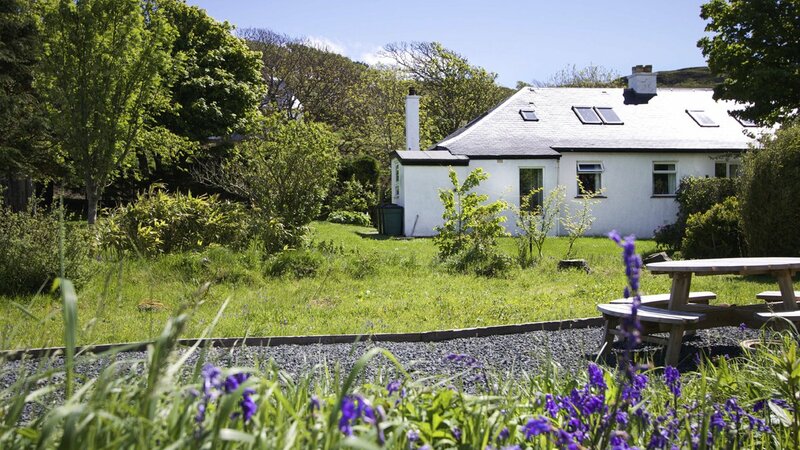 Have you got a favourite of our cottages by the sea on Mull?